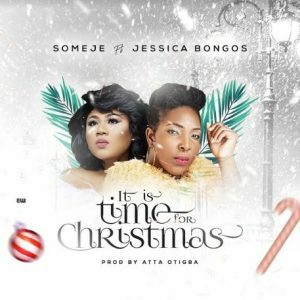 Someje has released her first brand new sizzling Christmas single “It is time for Christmas” (produced by Atta Otigba) in time for the holiday season. In her words she hopes to help you to have the best time ever this holiday season using her soulful voice to ignite your most beautiful heartfelt Christmas memories while sparking renewed hope for the future. The single features the rich sultry voice of the only Jessica Bongos. Someje is a budding contemporary singer and songwriter with a soulful approach to music. Her diverse background cuts across from western Nigeria to the rich Niger Delta and to the middle belt and other parts of the country and England. She is a down-to-earth personality who skilfully weaves wisdom from everyday experiences into well-crafted music.